Dr. Kalin is among the most accomplished biological psychiatrists in the field. 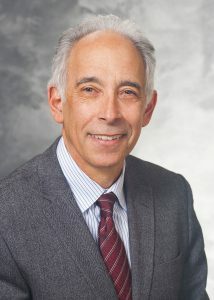 His research combines molecular, preclinical animal models, and human functional imaging studies to elucidate the mechanisms underlying the pathophysiology of anxiety and affective disorders. His work focuses on using translational models in nonhuman primates to elucidate early life mechanisms underlying the development of anxiety and depression. This work combines selective lesion strategies with functional brain imaging to demonstrate the importance of amygdala, bed nucleus of the stira terminalis, and the orbitofrontal cortex in mediating maladaptive responses to stress. Using the nonhuman primate, he has also established early markers of the risk to develop psychopathology, which has proved to be relevant to understanding risk in children. Recent studies in primates demonstrate the molecular underpinnings within the central nucleus of the amygdala that underlie early risk. Specifically, mRNA studies demonstrate alterations in the expression of neuroplasticity systems in young primates with high levels of dispositional anxiety. In rodent models, he has pursued the mechanism identified in nonhuman primates, and in humans he has performed imaging studies related to understanding mechanisms underlying emotion regulation. He is currently translating findings from his nonhuman primate studies to young children by examining alterations in brain regions underlying emotion regulation in children with high levels of anxious temperament. Taken together, his studies underscore the brain mechanisms underlying adaptive and maladaptive emotion regulation and the importance of emotion regulation in understanding individual differences related to risk for the development of stress-related psychopathology. Feedback, questions or accessibility issues: helpdesk@psychiatry.wisc.edu.